I have to admit that I’m a bit giddy about latest video release and foray into Corporate Film and Commercial Video. 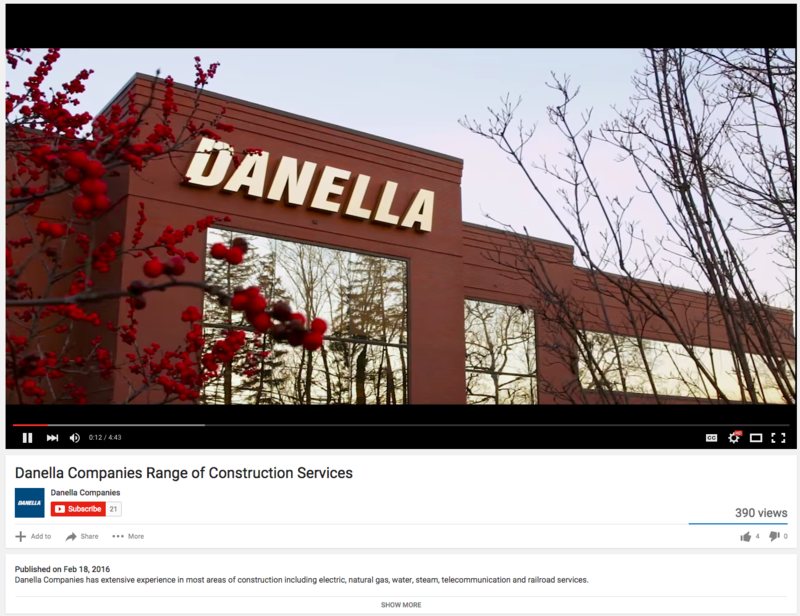 About a month ago, a friend and amazing man named Joe Spause contacted me about telling the story about what Danella Construction does in an effort to solidify its expertise as an industry leader locally, regionally, and nationally. The safety record of Danella Construction, “We Make Life Go” is amazing considering the number of jobs it completes every day. It even pays workers monthly to not work and complete refresher safety training. This video has a little of everything, between sweet GoPro shots in pipes, on backhoes and in ditches, it also has a fantastic Drone shot piloted by yours truly. We set up multiple time lapse videos, and figured out how to make burly and strong construction guys look warm and fuzzy during a 6 a.m. safety briefing! Finally, we created a script with Danella and brought in a TelePrompTer to add the best story to Danella’s more than 40-year history. We filmed at their headquarters in Plymouth Meeting, as well as on the job site near Temple University. Music is licensed through SongFreedom. What’s truly amazing is that this is our first corporate film as Philadelphia videographers. And we completed it on budget, and ahead of schedule! I have to thank my amazing team, led by my senior editor, Laura, as well as videographers Gustavo and Ricky. I’m so proud of our team, and I believe with corporate video work like this, JPG Photography may be ready to call itself more than just a photo studio. I’m excited about motion video, and I hope you are, too. Please, please, share this video, and maybe hint:hint, send it to your company’s Communications Department or PR firm! Thank you, and let us know your thoughts.